A Welsh Prayer, in the original version for SATB choir and two harps, was commissioned by Holywell Music and the North Wales International Music Festival as a gift to celebrate the 65th birthday of His Royal Highness The Prince of Wales. The beautiful words, written especially for this anthem by Dr Grahame Davies - one of Wales's most outstanding poets - reflect the long life of service and dedication to the nation that the Prince has tirelessly undertaken throughout his life. The piece was premiered by the Aberdeen University Chamber Choir with harpists Hannah Stone and Catrin Finch, conducted by the composer on 22 September 2013 at St Asaphs Cathedral as part of the North Wales International Music Festival. 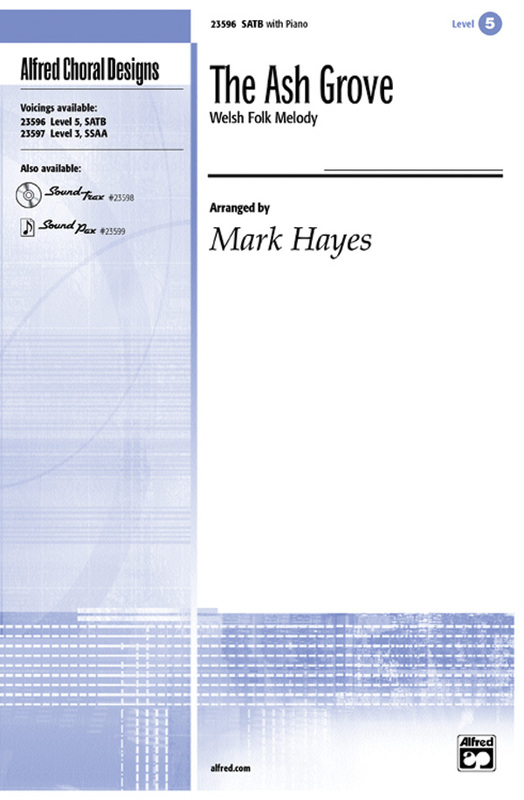 This version, arranged for male voice choir by Edward-Rhys Harry, was first performed by the massed choirs of the 25th London Welsh Festival of Male Choirs, accompanied by the Royal Welsh College of Music and Drama Symphony Orchestra, at the Royal Albert Hall on 15 October 2016 directed by Edward-Rhys Harry. Wales, Our Land was composed during late summer 2002 in response to a commission from the Welsh Heritage Program at Green Mountain College, Vermont. This lilting, beautiful choral work sets text by an unknown Welsh-American slate quarryman which speaks of the poet's love of his country of origin, perhaps, even, his longing to return. It is this sense of longing for the homeland (in Welsh, hiraeth) which infuses the composition. The work is sung in English but the words "Wales, our land," may be substituted for the three recurring Welsh words, "Cymru, ein gwlad." A beautifully presented, illustrated collection of children's songs from Wales. It is compulsory for all children to learn Welsh up to the age of 16 in Welsh schools, and this book provides a fun way of teaching and learning the language both in and out of the classroom. All songs are printed in the Welsh language and arranged for easy Piano and Voice. Bumper collections of folk songs with manageable piano accompaniments, guitar chords and background notes. Ideal for solo singers of all ages or for classroom singing and cross-curricular activities. A Tender Light is a collection of new choral music by the Welsh composer Paul Mealor, including the Ubi caritas, made famous by its inclusion in the Royal Wedding Ceremony of Prince William and Catherine Middleton at Westminster Abbey in April 2011. 2.5 billion people (the largest audience in broadcasting history) heard his Motet on that day and since then it has topped the Classical singles charts in the USA, UK, Australia, France and New Zealand and has already entered the standard repertoire for many choirs. 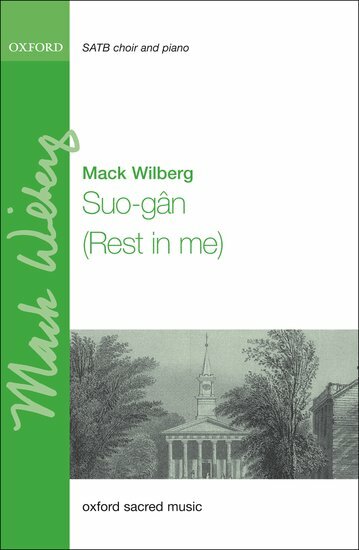 For singers wanting to explore further the music of Mealor, this book also contains the luminous She Walks in Beauty, the contemplative O vos omnes and the madrigal sequence Now Sleeps the Crimson Petal. Locus iste and Ave Maria are modern yet timeless settings of well-known texts. This is a must-have collection for any mixed voice choir wanting to explore the latest and best in choral repertoire. Four madrigals on rose texts for unaccompanied SATB (with divisi). Commissioned by John Armitage Memorial and first performed by the joint choirs of the University of St. Andrews Chapel Choir, University of Aberdeen Chamber Choir and the Edinburgh University Chamber Choir, conducted by Michael Bawtree. Paul Mealor's setting of the Latin hymn, Ubi Caritas, was composed for the royal wedding of Prince William and Miss Catherine Middleton and first performed by the Choirs of Westminster Abbey and Her Majesty's Chapel Royal, St. James' Palace, conducted by James O'Donnell, at the wedding service at Westminster Abbey. These lyrical and atmospheric carols for the Christmas season offer choirs the chance of exploring treasures from one of the most musical of nations. The Welsh texts are accompanied by new English singing translations. Displaying 1-50 of 60 items. 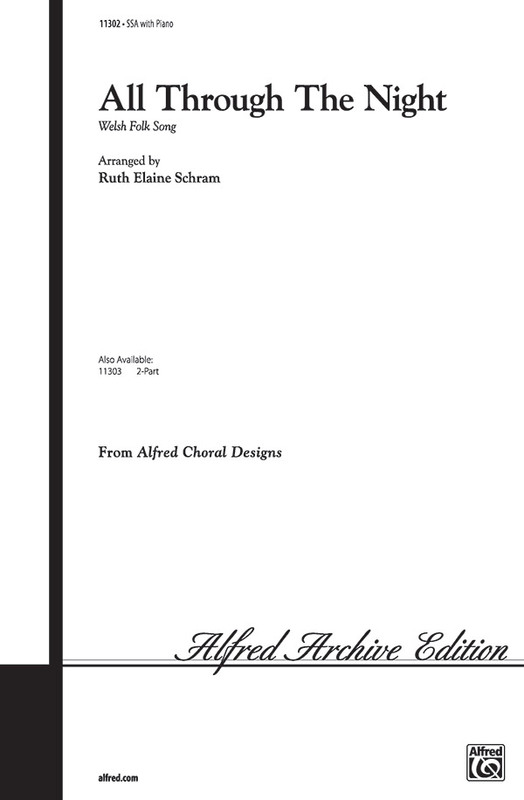 A Spotless Rose by Welsh composer Paul Mealor, arranged for unaccompanied SSAA divisi chorus. The sublime harmonies of this piece were released on the album Tender Lightthat also featured his piece composed for the Royal Wedding. This is a simply gorgeous arrangement for your girls' choirs of the delightful and often-sung Welsh folk song. The melody is shared between the high and low voices, and the piano accompaniment never gets in the way of the singers. Will make your treble choirs sound great. This eloquent setting of the tender classic Welsh lullaby features an artistic accompaniment and opportunities for all parts to be featured on the melody. An absolutely gorgeous and subtle programming contrast, it is also very accessible. This Earlene Rentz edition of the lovely Welsh folk song is written specifically for younger choirs. Easy to sing and sounds wonderful! For unaccompanied SSA divis voices, this piece was commissioned by BBC Radio 3 for Les Sirènes, Choir of the Year Champions 2012, and was first performed on 6 June 2014 at St John's-Renfield Church, Kelvindale, Glasgow. This short unaccompanied motet with the Latin text drawn from the tradition of Lauda Spiritual is quiet and reflective with lovely expressive choral textures. Uses: General Scripture: Psalm 33:6; Jeremiah 32:17; Romans 11:36 A well-known Welsh tune is given a new purpose in this joyous anthem. The text celebrates the Creator, and an original refrain allows the choir to express their own alleluia! Some division in the voices will add depth to the harmonic stack, while the lilting piano accompaniment and cheerful flute obbligato will provide a pleasing Celtic soundtrack. Outstanding! This stunning setting of the illustrious Welsh hymntune features two texts: 'COME, O SPIRIT, DWELL AMONG US' for Pentecost or general Sundays and 'ALLELUIA! SING TO JESUS' for Ascension or general use. Congregational parts for each setting are included in the score, as well as an optional handbell part for 3-5 bells. The Kikapust Choral Series offers choirs an extensive choice of close-harmony a cappella arrangements. All of our arrangers / composers - Jonathan Rathbone, Ben Parry & Mark Williams - were long-standing members of the Swingle Singers. Inspired by his life-long interest in chant and choral music, Paul Mealor's De Profundis pushes the boundaries of the human voice in a style synonymous with Russian orthodox music. In spring 2012 this piece sparked the 'Bass Hunter' competition - a world-wide talent search for the lowest human voice in existence. The note, an 'E' (329 Hertz), is six notes below the lowest note ever written for a choral piece (from Rachmanivov's Vespers - a B flat), and a whole tone lower than the Guinness World Record-holder - a sung F sharp. The piece has since been recorded featuring the winner of the competition, Tim Storms (Decca 3709935). Paul Mealor's setting of Fletcher's deeply moving 16th century text is marked by molto espressivo word painting and striking dynamic contrast. Dedicated to and first performed by Joshua Copeland and the Antioch Chamber Ensemble, St. Paul's Chapel, New York. I Am the Gentle Light is dedicated to Christopher Bell and the National Youth Choir of Scotland's National Boys Choir and was premiered by them on BBC One's Songs of Praise on St Andrew's Day, 2012. Featuring words and music composed by Paul Mealor, this festive-themed carol is a beautiful work for choirs looking for a fresh addition to their Christmas repertoire. Including interpolations from favorite carols like Silent Night and O Come, All Ye Faithful, this truly has the makings of a modern classic. This medley of Welsh hymns was composed for the Tennessee Men's Chorale tour to Wales in 2007. The tunes are woven seamlessly together but give distinction in style and presentation, inviting the congregation to sing before the resounding grand finale. First performed at the Festival of Remembrance 2014 at the Royal Albert Hall. 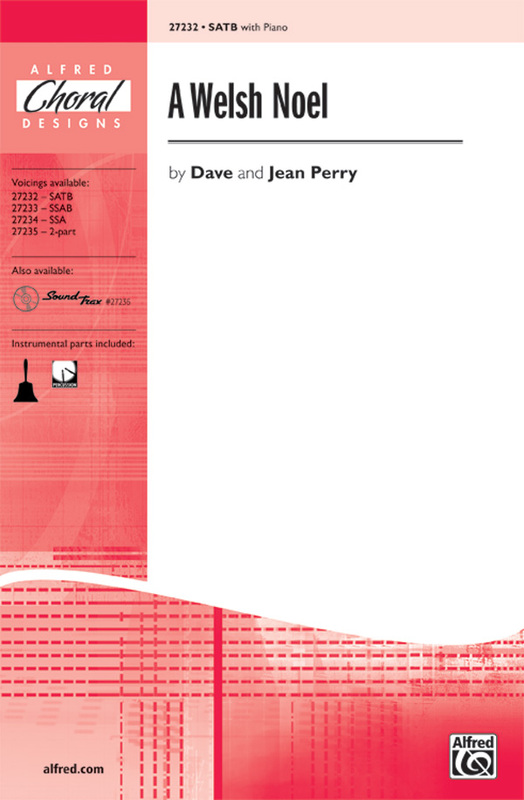 For SATB chorus, trumpet, percussion, piano and strings. Written for The Military Wives Choir, Jonjo Kerr and Gareth Malone for their first album In My Dreams, this edition has been adapted for SATB chorus and Piano. Written for The Military Wives Choir, Jonjo Kerr and Gareth Malone for their first album In My Dreams for Tenor solo, SSA chorus and Piano. The second of four madrigals on rose texts, Now Sleeps the Crimson Petal. for SATB (with divisi). The first of a set of four madrigals on rose texts, also entitled Now Sleeps the Crimson Petal, for SATB (with divisi). This short a cappella setting of the Latin hymn was composed for the Chapel Choir of King's College, Aberdeen. From the Welsh composer Paul Mealor, this work for unaccompanied SATB divisi chorus with tubular bells was included on the album A Tender Light, recorded by Tenebrae with Nigel Short conducting. Salvator Mundi: Greater Love was commissioned by the Swansea Festival and premiered by Côrdydd, conducted by Sioned James at St. Mary's Church, Chepstow on October 9, 2011. It combines two sacred texts: the Latin prayer, Salvator mundi (Saviour of the world) and verses from the Gospel of St. John (15:12&13). For SATB divisi a cappella, with SATB soloists. Renowned Welsh composer Paul Mealor's Sanctuary Haunts was commissioned by the University of Aberdeen and first performed by the award-winning choir Polyphony. The piece lasts around 12 minutes and is split into three settings: I. Sanctuario by R.S Parkes (trans. John Barnes); II. Lantern of Stone by Peter Davidson; III. Locus Iste. Each of these movements flows nicely into the next, while they can be performed separately if the performers so desire. Paul Mealor's setting of Lord Byron's She walks in beauty, written for Octavoce. Scored for SATB divisi chorus unaccompanied. Sleep On takes pride of place on Hayley Westenra's album, Hushabye (Decca cat no: 4810351), written by Paul Mealor and dedicated to Kate and William's new son. This vocal score presents the piece arranged for SATB chorus and piano. Mealor divides his setting of this religious Latin text into four sections, the first of which is unaccompanied. 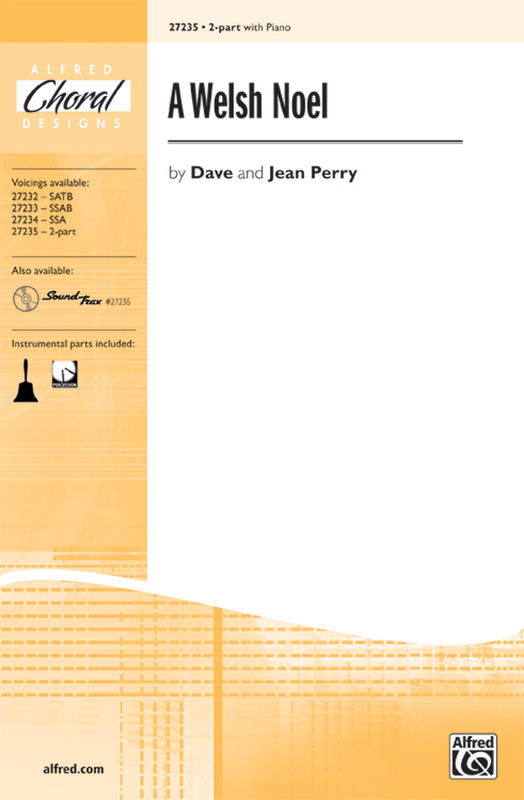 For SATB chorus with soprano solo and piano. Also available with harp (or piano) and string accompaniment. Welsh composer Paul Mealor's beautiful composition Stepping Stone, arranged for SATB chorus and piano. This emotional yet uplifting work was written for the cancer charity Maggie's. Sometimes simplicity says it best. The lovely Welsh tune Suo-Gan has been arranged with intelligent reserve by veteran Judy Herrington and new-comer Kyle Haugen. Texts are provided in both English and Welsh with pronunciation guides. An excellent choice for high school choirs. This lovely Welsh lullaby is sensitively set with a range of feeling, moving from a haunted mood into sublime gentleness. 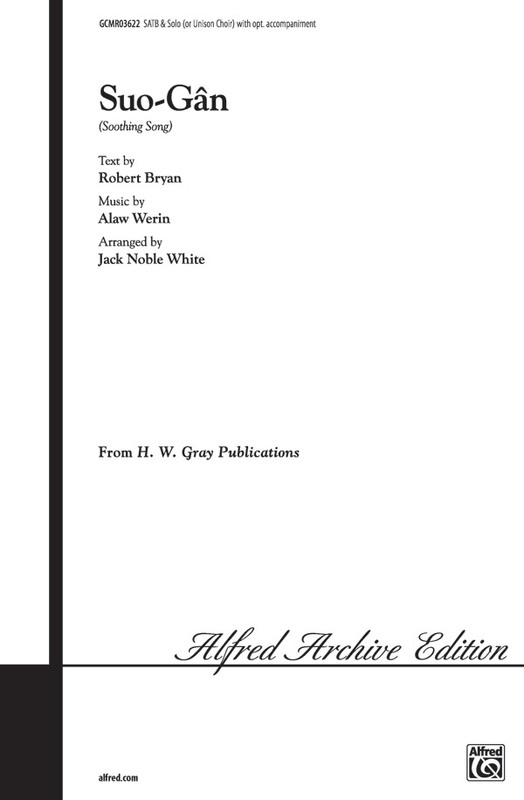 Both Welsh and English texts are given; with piano. This traditional Welsh lullaby was featured in the score of the motion picture Empire of the Sun and can be heard regularly in several television commercials. Ruth Elaine Schram has created a lovely original English text that helps to bring this graceful setting to life. Jack Noble White has discovered a gem in this tender Welsh lullaby heard briefly in the 1987 movie EMPIRE OF THE SUN. Performance options are many in this simple, yet beautiful, setting. The solo may be sung by a mezzo-soprano or unison choir, and the accompaniment, adaptable to organ or piano, is optional. Originally written as a mother's lullaby to her child, an alternate text makes this lovely edition suitable for Christmas as well. For use in churches or schools. This gentle setting of the traditional Welsh lullaby features a new English text by David Warner. An alternative Christmas text is included. The story depicts someone at the end of life who is asking to be led into eternal life. The altos sing the text of the hymn, while the sopranos, tenors, and basses accompany them on "oo." Accessible for most church choirs and suitable for performance throughout the year. Now available for SAB choir. A simple and beautiful treatment of the Welsh folk song! This artful setting by Philip Lawson will be an elegant addition to your concert and festival programming. Poignant, emotional, expressive-all describe this exceptional setting of the beloved Welsh tune. Interesting harmonies, opportunities for solos, and a marvelous accompaniment grace this gentle, moving work. Linda is well known for her stunning folk-song arrangements and this is no exception. 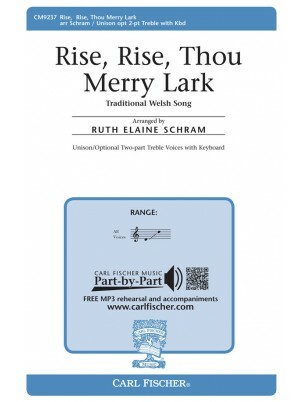 Now your SATB and Women's Choirs can perform this charming and widely performed Ruth Elaine Schram setting of the well-known Welsh folk song. Add this one to your next concert.